Nabana-no-Sato in Mie prefecture is home to one of the best illumination events in Japan. The Winter Illumination Event, “Toka-no-kyoen” begins from October 25th this year to March 31st, 2015. Nabana-no-sato offers beautiful seasonal flowers throughout the year, and the landscape adorned with seasonal blossoms paints a breathtaking picture specific to each season in Japan. Spring is enjoyed with varying shades of Tulip blooms. Roses and hydrangeas make Summers more passionate and colourful. Cosmoses add radiance to Autumn thereby uplifting the fall-mood. “The Tunnel of Light” or “Hikari-no-tunnel” is definitely a place to witness for its fantastic illumination that is strikingly distinct from the landscape in the daytime. The rainbow-illuminated tunnel takes one to a fantasy-filled and amazing atmosphere. Much, rather most, of the illumination is inspired by the colors of autumn leaves. as well as the sea of clouds that are made completely of lights. “Nabana-no-sato” recreates a romantic fairy-tale atmosphere with LED lights adorned strategically over the landscape. 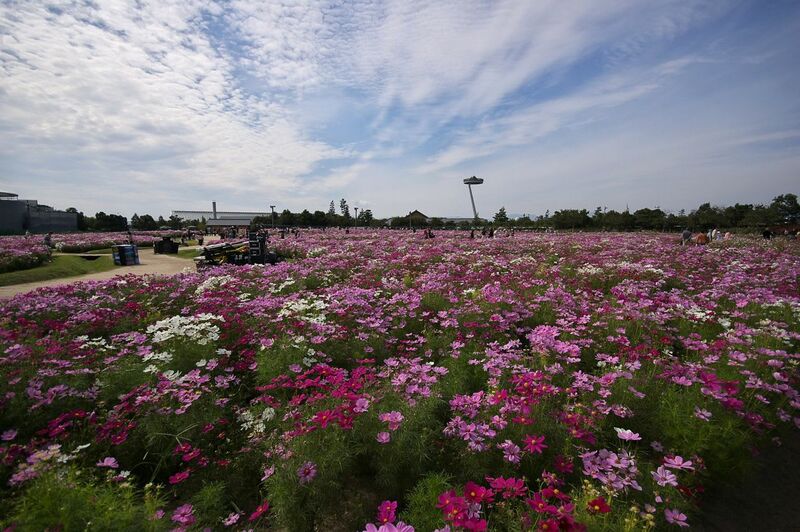 Visit Nabana-no-sato to enjoy the seasonal flowers and the glamorous world created with lights.